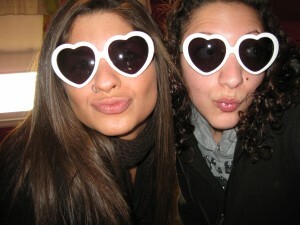 Ahh I have the same ones except the frame is pink haha. You have been gone so long I missed you Christine!!! I am definitely seeing Alice In Wonderland by the way, so many good actors!!! I like the glasses you got. But too bad, I have very bad eyesight every time I wear glasses, maybe because I’m not used to it. Heh, awesome sunglasses, I wish I could just go and pick up sunglasses, unfortunately with my eyesight I can’t. I had a pair as well when I was a kid =D Fun times! Haha I have some glasses that look almost just like that! I think mine were a random purchase from Rue 21 last year. Heheh! How very awesomely stylish! I want some too! I think “little kid accessories” are hot too. I have a pair of heart shaped glasses, but mine are red. Bwahaha, aww! What a cute snapshot, haha. >w<; I bought myself a pair of heart shaped glasses a few years ago, and I still have ‘em! Set your own life easier take the mortgage loans and everything you require.